Recently, I read an article about setting goals. It wasn't specific to music, but it definitely applied to the process of learning to play music. The headline promised that you can learn in two days what would normally take you 6 months to learn, just by setting goals. I'm not going to promise you those kind of results in learning to play a musical instrument, but as Yankees legend Yogi Berra famously said, "You’ve got to be very careful if you don’t know where you are going, because you might not get there." The point is, if you want successful music lessons, start out by setting goals, and when you accomplish them, set new ones. "...If you want successful music lessons, start out by setting goals, and when you accomplish them, set new ones." Setting goals leads you from where you are to where you picture yourself being. If your goal is to play cello like Yo-Yo Ma, drums like Keith Moon, or piano like Elton John, it's important to take that large goal, and make smaller goals that lead to it. Smaller goals are easier to digest, and you can see the steps necessary to achieve them. How Should I Choose My Goals? Goals should be chosen so that they are clear, achievable, and include some type of time frame. As small successes can lead to bigger ones, you can have a weekly or monthly goal, then break it down into smaller goals. The important part is that the goals lead to where you want to be. Focus on the desired outcome, and include only the steps that will lead you there. If a monthly goal is to be able to play the guitar part of a new song for a performance one month from now, a weekly goal might be to learn the chorus of the song. 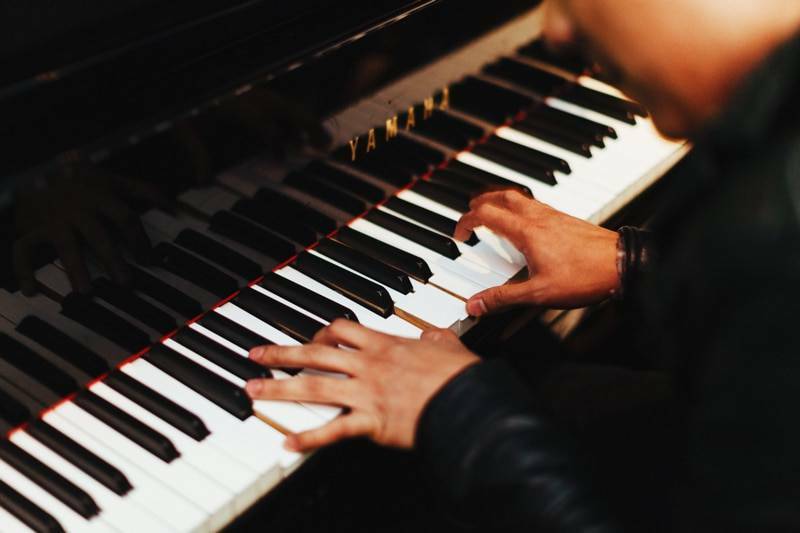 That can be broken down further to daily goals of learning to play the chords, changing from one chord to the next one smoothly, playing the whole chorus slowly, and finally, playing the whole chorus at the right tempo. "Smaller goals are easier to digest, and you can see the steps necessary to achieve them." What Are Some Examples of Goals? For beginners, the goals could be to learn, then master each of the fundamentals for the instrument, and establish and stick to a practice routine. It might include learning to play songs that help you practice the fundamental skills. For more advanced students, the goal might be to learn a song you'd like to play, or to make the song "performance-ready." You could have a goal to perform more, or join a band. A good teacher will be able to help you set goals to keep you progressing. At Music House School of Music, there is a school-wide process that helps each student work with their teacher to decide on their next goals. It's called "Progression Week," and includes the parents of non-adult students, so everyone will know the stated goals and the plan to get there. This process keeps students moving forward and engaged. Sometimes small successes go unnoticed, but when your teacher moves your goal to the "Completed Goals" section of your profile, and types in new goals, you can tell you are moving ahead. If you want to learn to play an instrument, setting goals will will help you to focus and get there quicker. Stating them in writing sets the expectation so that the logical conclusion is that they will be achieved. Find out how you can learn to play at Music House. Click here for info.